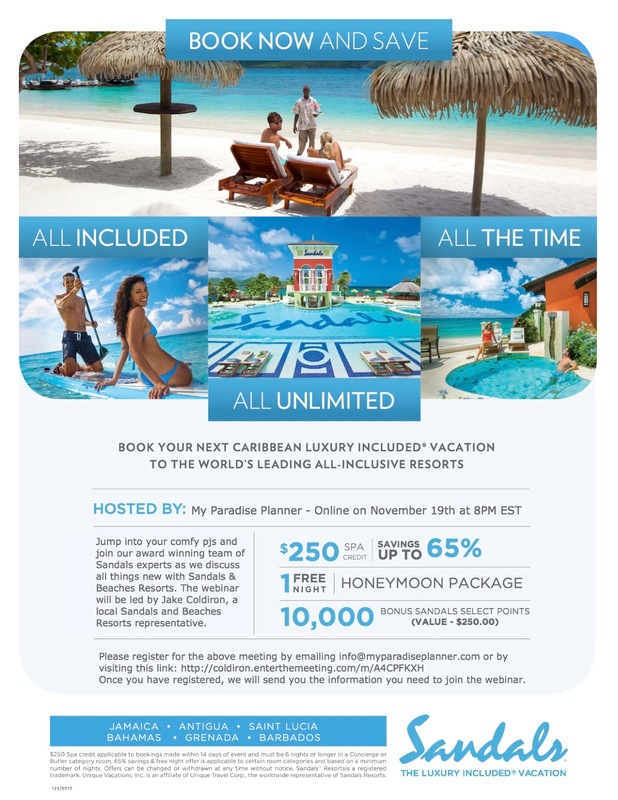 You're Invited To Our Sandals Virtual Caribbean Event. Join our team of award winning Sandals Specialists and our local Sandals Resorts Representative for a Virtual Online Caribbean Event on November 19th, 2015 at 8PM (EST). *See terms and conditions in the fine print above regarding the complimentary spa credit.